There's a new bird flu going around, but it's not affecting the avian species you'd likely suspect -- nor is it spreading very widely. That's because researchers discovered this new and unique strain of the virus in Antarctica, and they found that it's affecting penguins -- or is it? 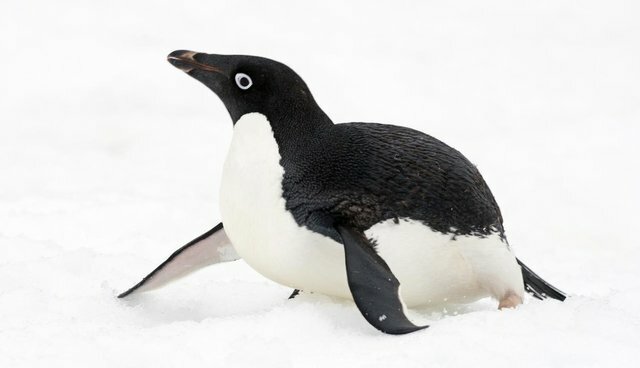 According to a study published in the research journal mBio, two massive colonies of Adelie penguins living on the Antarctic peninsula have been found to harbor avian influenza, but they aren't suffering the usual symptoms of the disease. Actually, the penguins don't appear to be sick at all, even though 3 percent of the animals swabbed for the virus had a strain of it. But the question isn't why the penguins aren't bed-ridden and feverish when they come down with the flu -- it's how they got the flu in the first place. [Birds] including the Arctic tern do migrate many thousands of miles, and might have brought a relative of this virus to Antarctica more than 50 years ago. Another possible suspect is the yellow-billed pintail duck, which is known to stray from South America and end up on the Antarctic Peninsula. It's also possible that the virus can end up in seals and whales, [the researchers] write. That means the virus could be carried around Antarctic waters. They speculate that the virus might mix and exchange genes inside these marine mammals, the way avian flu viruses found around human settlements sometimes recombine into nastier viruses inside pigs. Regardless of how the flu got to Antarctica, though, there's still some cause for alarm that it's affecting penguin colonies. Even though the birds aren't sick right now, the researchers warn, "it is not inconceivable that such viruses could be transferred to the Antarctic continent by migratory birds, potentially resulting in catastrophic mass mortality."